You’ve probably heard some of the recent conversation about the steep price hikes for the EpiPen, an injection device that delivers epinephrine. Epinephrine is a life-saving hormone given to people suffering severe allergic reactions. Health care experts and news media have tried in recent weeks to explain why the cost of the EpiPen has climbed from $100 to more than $600 since 2009. And they’ve assigned plenty of blame for why the medicine has become so expensive. Some of what you’ve heard is true. But not all of it. The EpiPen is a good example of just how irrational drug pricing has become. Let’s take a minute to look at some of what you might have heard about the EpiPen and how the process of pricing drugs illustrates the need for more consumer-focused, sensible health care. Myth #1: The cost of the EpiPen skyrocketed overnight. Mylan, the company that markets the EpiPen, raised the price fairly gradually over a few years, but most consumers didn’t notice because insurance companies have been absorbing the cost increases. Part of the price increase is the result of the expected arrival of a generic alternative to the brand-name EpiPen. Like many pharmaceutical companies, Mylan has tried to take advantage of its patent protection before a cheaper generic version is available. Another reason why consumers feel like the EpiPen price tag jumped so quickly is the emerging popularity of high-deductible health insurance plans that can mean lower monthly premiums. Prescriptions for EpiPens spike every August as parents buy new ones for the start of the school year. For families who switched to high-deductible plans in the past year and haven’t yet met their out-of-pocket requirements, the EpiPen price hike is now shockingly real. Myth #2: Insurance companies are making big money on the EpiPen. While some insurers do receive rebates from Mylan from EpiPen sales, most are using that money to hold down premium increases for their customers. The rebates are passed onto consumers when the insurance company absorbs the cost increase for the EpiPen. In fact, Blue Cross and Blue Shield of North Carolina negotiates with Mylan and other drug companies to try to shield consumers from steep price increases. Both consumers and insurers are better off when medicines are affordable. Beyond all that, the Affordable Care Act requires insurers to spend at least 80 percent of their premium revenue directly on health care services. This limits insurers’ profit margins. Blue Cross has exceeded this minimum each year of the ACA. Myth #3: The cost of drugs is determined by market forces like supply and demand. That may have been true once upon a time, but today, there are a host of factors that influence the price of medicines. In the United States, pharmaceutical companies are allowed to set their prices for medicines without regulatory limits. But insurance premiums must have approval from state regulators. That sets up an almost inevitable dynamic of drug prices far outpacing insurance premiums. When that happens, consumers get hit with bigger out-of-pocket expenses. Until recently, most people buying an EpiPen had no idea what it actually cost. The story is not much different with other medicines. But if market forces like supply and demand are ever going to truly influence drug prices, all of health care must embrace a whole new level of cost transparency. Myth #4: Coupons lower drug prices. Put simply, they don’t. When a consumer uses a coupon for their medicine, they may pay less at the pharmacy, but the price tag of the drug remains the same. And the insurance company still pays the same percentage of that full price. These are the kinds of factors that drive up insurance premiums. Coupons can end up further removing consumers from knowing the actual prices of medicines. And when consumers are in the dark on prices, they can’t make informed purchasing decisions. Myth #5: There’s nothing we can do about high drug prices. Fortunately, this one isn’t true, either. Blue Cross uses a pharmacy benefits manager to negotiate with drug companies to try to keep prices affordable. And consumers can play a role, too. It may surprise you to learn that even when more affordable generic alternatives are available, many consumers still insist on a prescription for an expensive brand-name drug. 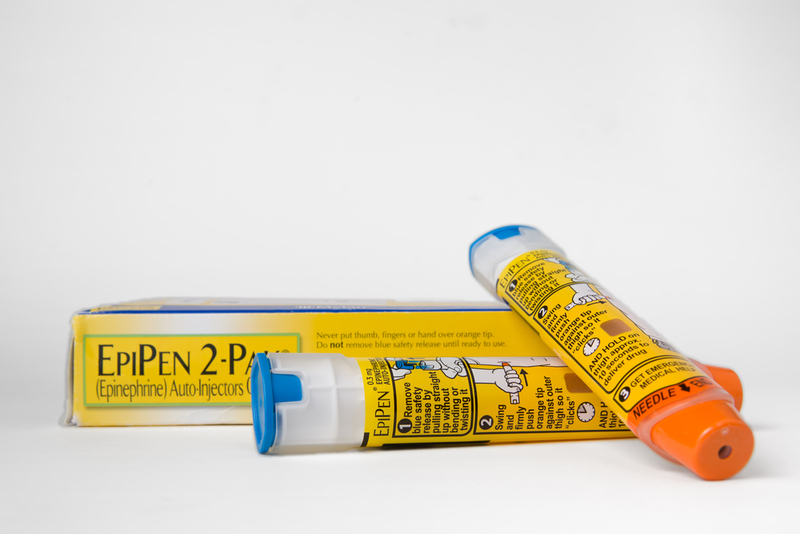 In the case of the epinephrine, Mylan has announced it will provide a generic alternative while still selling the brand-name EpiPen. Mylan wouldn’t continue selling the brand-name version unless they were certain a lot of patients would choose it over the cheaper generic. Drug pricing has become a complex process that is a combination of science, art and, frankly, utter lunacy. We need health care that’s more consumer-focused. That means providing consumers with more information about what things cost and giving them more control over their health care decisions. Health care needs to adopt a model closer to retail, where consumers see price tags before making a purchasing decision. Blue Cross is committed to bringing value to what we’re all paying for health care. That’s going to require all of the players in health care to share more information about prices for medicines and treatments and the health outcomes they produce.